High quality cowhide lined gloves. Cowhide Gloves is rated 4.6 out of 5 by 12. Rated 4 out of 5 by Mumfey from Cowhide work Gloves Very good quality product however, a bit on the small side. I do have large hands so this fact should not take any thing away from these gloves. Rated 5 out of 5 by toolstation fan from Best ever! 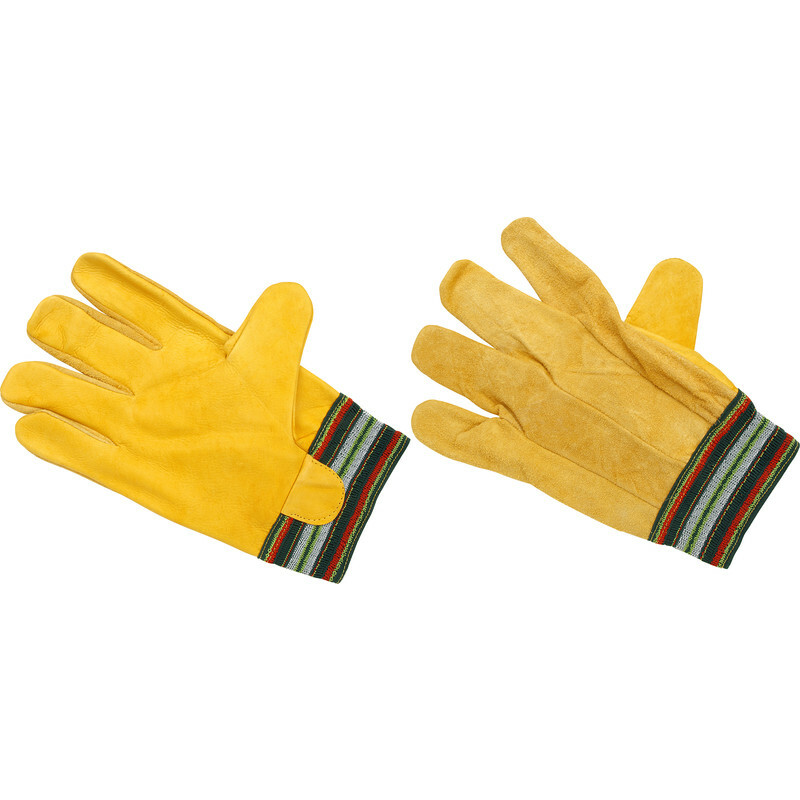 These are the best work gloves I have ever used. I use them for moving and building concrete blocks and even with these rough surfaces they protect and last! More expensive than others, but worth every penny. Rated 5 out of 5 by Forgemaster from Great quality These are my second pair of leather gloves. I was very pleased with the first pair.they are comfortable and very hard wearing worth the money. Rated 5 out of 5 by Soft hearted from Tough Nd comfortable This is the third pair I have purchased. I didn’t wear them out my grandson and his assistant borrowed them and they liked them so much I gave them a pair each. I’m hiding this pair!! Rated 5 out of 5 by Solly from As advertized Fit well. Seem quite strong. But will only know quality with long term use. Arrived on time. Seem value for money.